ENVE's SES AR 4.5 wheelset has been a great success, giving all the benefits of semi-deep carbon aero rims with the width optimised for 28-32mm tyres. The result is an all-round performer with a focus on road speed that can equally well cope with trips onto gravel and cobbles. Now ENVE have launched the SES 3.4 AR Disc, taking the same versatile package but with a slightly shallower (and thus lighter) rim. This is a clever move. The regular 3.4s have long been a mainstay of the ENVE range, they're a fantastic all-round performer. 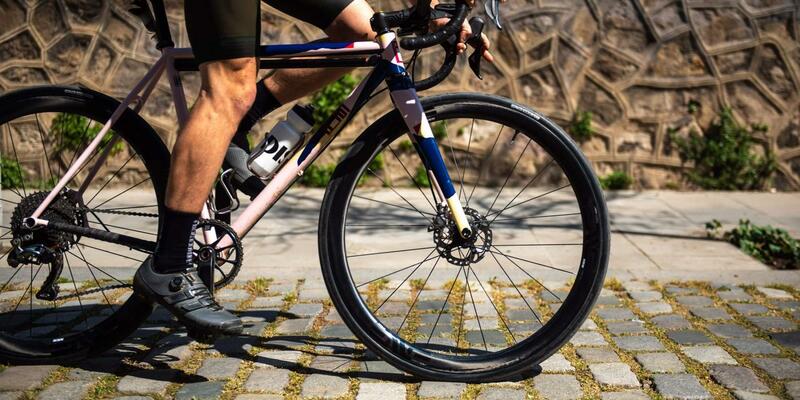 The AR version isn't intended to replace them - if 99% of your riding is on tarmac then the conventional design is still a great choice - but if you ride on mixed surfaces, whether that's unpaved roads, cobbles, gravel, bridleways or whatever then the AR wheelset is the natural choice as your default wheelset. 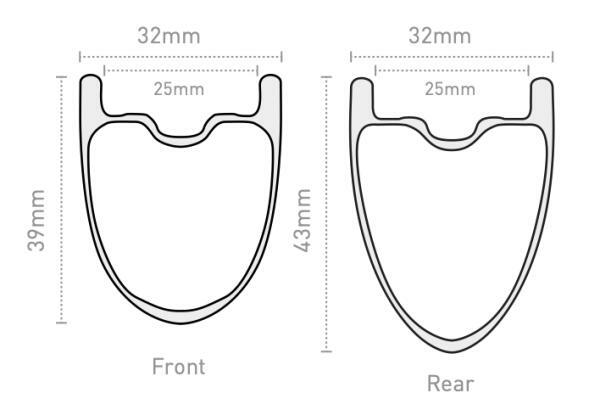 It's not just a case of taking the existing 3.4s and making them wider though, the rim profile has been thoroughly reworked to ensure that the airflow is optimised for wider tyres (they'll happily run 28-32mm, but will give the best aero performance with 28mm). So, now you'll have the option of running wider volume tyres, with the resulting benefits in comfort, grip and rolling resistance. If aero is everything go for the deeper SES 4.5 AR, and if maximum versatility and weight saving is important, that's when the SES 3.4 AR shine. And if you're thinking "what about the ENVE G23 wheels? 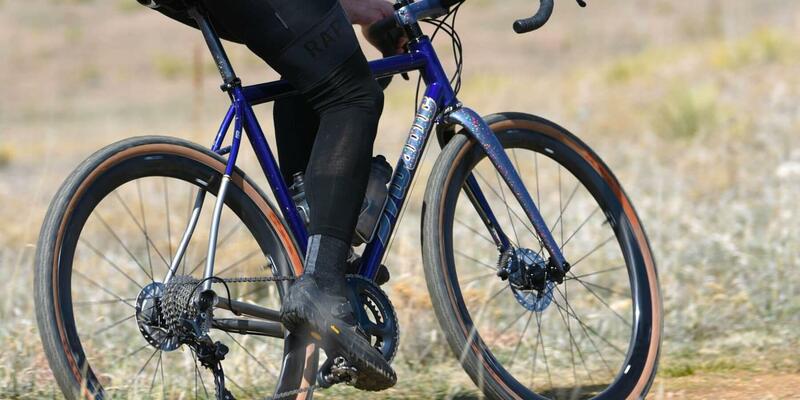 ", well, they're still the choice for full-on gravel/adventure riding - if they fit your frame and you prioritise all-terrain capability over aero and light weight. 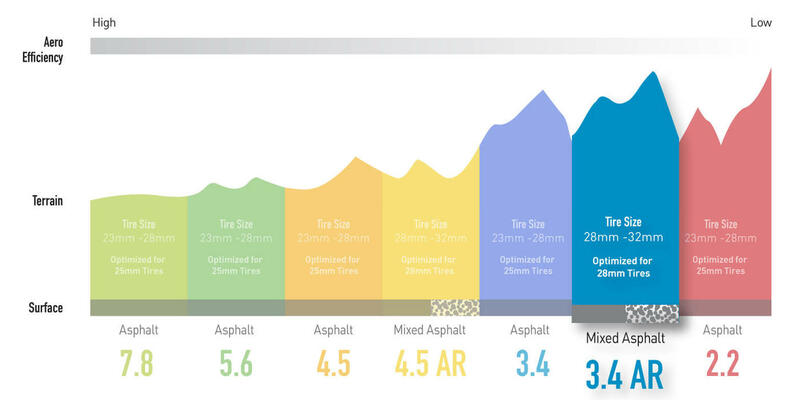 But if your road bike frame wasn't built with the necessary clearances in mind, or your personal requirements lean more towards road speed, then the 3.4 AR are the way to go. If you're unsure as to what will work with your frame, whether for an existing bike or a new build... that's what we're here for. Get in touch or visit us in store and we can talk you through the best options to suit both your bike and your riding style. As with all ENVE's wheels they are proudly handmade in the USA and come with a five year warranty. As you'd expect, the AR rims are tubeless ready, and also feature ENVE's "hookless bead" technology which drastically reduces the chances of pinch punctures when running higher volume tyres and lower pressures. The standard build will be on ENVE's own black alloy hubs, 12/142 axle, with Sapim CX-Ray spokes, and either a Shimano, Campagnolo or XDR freehub. All priced at £2800 per pair. That's a great choice for a highly capable performance build, but if you prefer to mix and match we can of course offer custom builds too. The new SES 3.4 AR Disc can be pre-ordered now, and we're expecting to see the first stock in early May. Stock will be limited and pre-orders will take priority, so reserve yours now if you want to get your hands on them quickly. We're looking forward to getting them on test, but we have a very good idea what to expect - these new wheels are really a combination of existing features into a new package, and one that fills a very frequently-requested need. These are gonna be good!